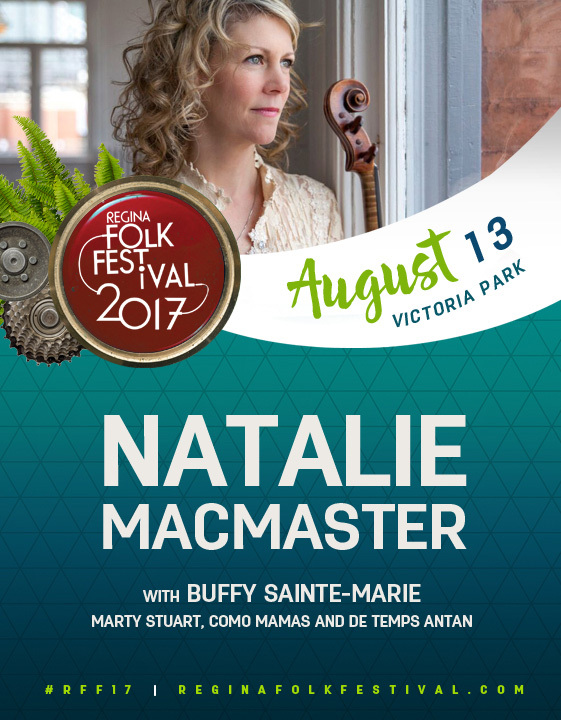 The 48th edition of the Regina Folk Festival is coming up August 10th through 13th. Tegan and Sara, Lights, Buffy Sainte-Marie, Marty Stuart and His Fabulous Superlatives, Coeur de pirate, Natalie MacMaster, José González, Vox Sambou, Kacy and Clayton, De Temps Antan, DJ Shub, Les Hay Babies, Begonia, Kobo Town, Como Mamas, William Prince, Blake Berglund, Kiera Dall’Osto, Tomato Tomato, Choir! Choir! Choir!, Ponteix, Ryan McNally, Dirty Catfish Brass Band, Al Simmons, and more to be announced!